I would like to say it was a great escape from the scorching heat of Chennai (but the weather is pleasant now due to summer rain) for less than a week... but it was quite terrific until reaching the foothills of Kodaikanal and way back to home. Yes, I had a fabulous vacation come travel last week to the princess of hills, Kodakanal. The destination isn’t new for me and I love being there and times no matter, but this time it was really different, wonderful and exciting only because of the things done, routes traveled and the place of stay. Every time I visit Kodai I try to explore something new and make sure leisurely the drive. As planned we headed to Kodaikanal first through the Palani Ghat section which I really wanted to do for very long time. I have been more than 6 times to Kodai and first time I got to explore this route and I really need to say it is very natural and scenic than the prime route (via Batlagundu) to Kodaikanal. Things were fine until reaching Kodai, but we couldn’t stay over there due to some unsuitable lodging. We have a friend there who used to book cottages for us every time and this time he slightly went ahead with sloped terrain which supposed to be very difficult and the couple of cottages we checked hold great views but where tilted either up or down. So with no other option and time to search (as it was about 8pm) we decided to move to Thandikudi to stay at my uncle’s newly built woodhouse come cottage. We actually planned to stay at woodhouse but I wanted to explore an interior area, which could be easily accessible from Kodai so I liked staying there for couple of days before move to Thandikudi. It was 10pm when we reached the woodhouse and past Kodai it started to shower heavily and all the bags tied to the car top were drenched. 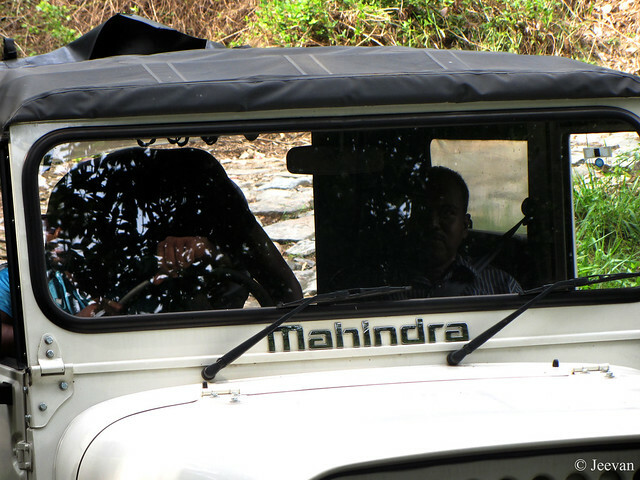 The next day turned out to be the most exciting part of my vacation, an off-road ride in Jeep to a waterfall near Thandikudi. It was indeed an unexpected ride and I didn’t believe I could seat inside a Jeep but it all happened only because of my brother. It is a complete off-road ride I ever had and we crossed a small river and had fun all together. 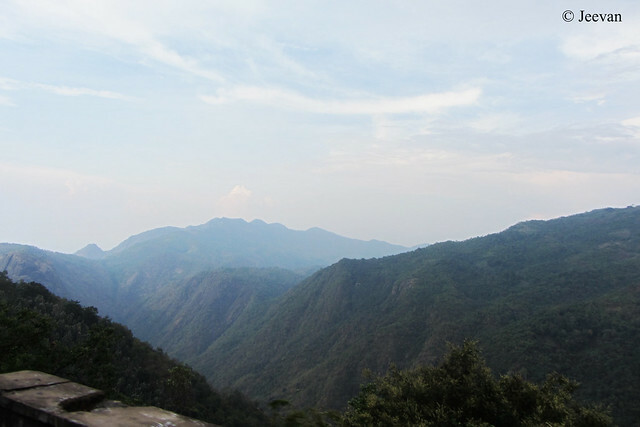 The other day I took a long drive on the mountains leading all the way to Kilavarai, the last public accessible destination in Kodaikanal hills, where the famous Escape Road (a trail road that connect Kodai-Munnar) begins. It was entirely a very scenic pass, with rolling grasslands and terrace framing taking place on either side, the cold breeze continue to caress from the tall pine and eucalyptus trees. It took my entire day taking plenty of photos including birds and wild flowers. Uncle’s woodhouse (in Thandikudi) is a very pleasant abode for nature lovers and it has a wonderful balcony to bird watch at the backyard. Though the woodhouse is built close to the road, it sense amazing to listen to birds chirping from all sides and felt serene almost to name as Serene Woods. My recommend to Thandikudi would be mainly for bird watching and the pristine natural environment exits among the coffee, pepper and orange plantations aside canopy of tall trees of different species. Staying there, I also visited Parappalaru Dam. About 45 km from there, the travel to the dam was through vast coffee plantations, beautiful villages and forest region with a pristine lake among the dense. By this travel I covered almost nooks of the Kodaikanal Hills but still feel there’s more to experience and explore at leisure. Hope to share more my experience in future/further post. Glad you enjoyed the trip Jeevan. Kodai is a scenic place. This sounds like a wonderful holiday. The off-road trip to the waterfall must have been fascinating. You certainly visited a beautiful, scenic, area. your uncle's place looks beautiful! so glad you had fun riding in the jeep four-wheeling! Love all four photos, for each one has a unique speciality associated with it. I can feel the car moving in the 2nd photo. The woodhouse is fantastic - especially given the plantain tree. The cloud cover mountain top in 1st photo is terrific too. Very nice tour with beautiful images. Now, I must visit this place! I have not visited here until now! The drive at Ghat section attracts me a lot! 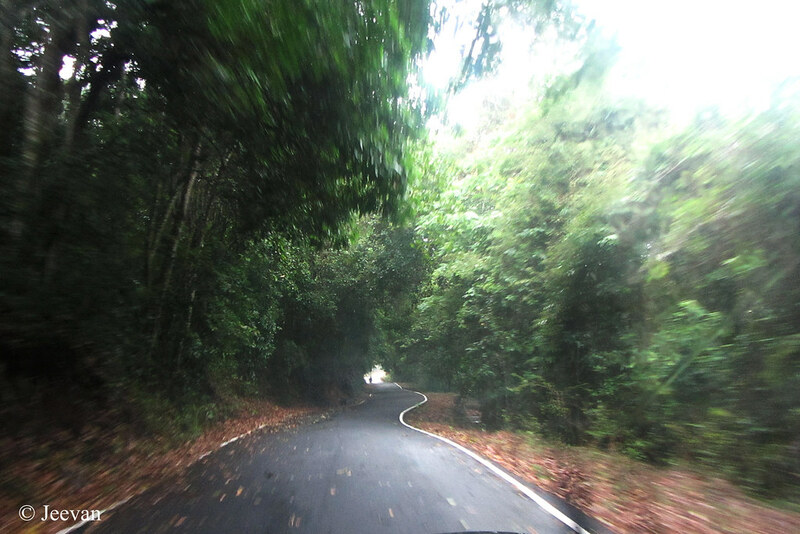 Thank you, Jeevan for the beautiful photographs of the road and the tree house! Kodaikanal is a beautiful place with invigorating climate.You must have enjoyed this trip.Pictures are wonderful and your uncle's woodhouse is impressive. 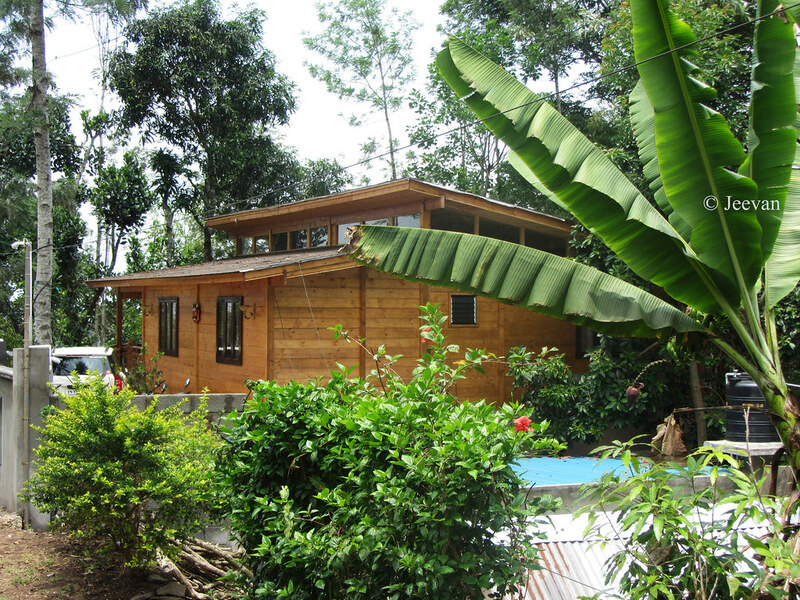 wow..what lovely and beautiful wood house! Your country has great views everywhere. I love the views of mountains and green forests from our mother nature. They make me feel calm and at peace. I miss those days driving into tranquil places. Despite the tough journey to get there, you made it with a positive attitude as always, Jeevan. And it is absolutely beautiful there!! Glad you had a good time. Lovely shots!